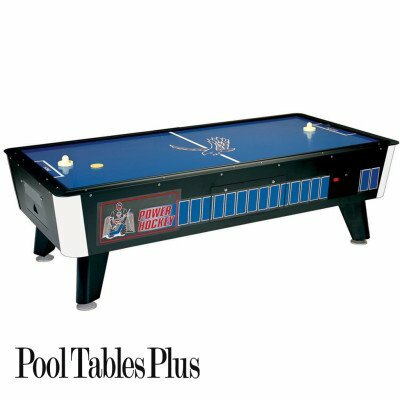 The Rhinebeck Rustic/Contemporary air hockey is built from solid distressed pine in an aged walnut finish to match the pool table. A powerful commercial blower motor lets you bring home the arcade experience. However, at over 325 lbs., you’ll need professional installation. This is no light weight… The combined benefit of a powerful motor, commercial rail system and oversized 3 1/4″ pucks, allows for fast aggressive play without the worry of pucks flying off the table and hitting someone or something. 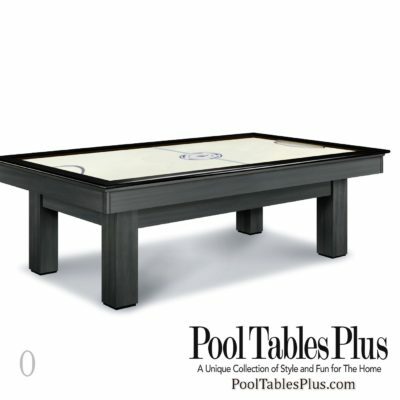 The Rhinebeck air hockey table is commercial quality but built for the home. 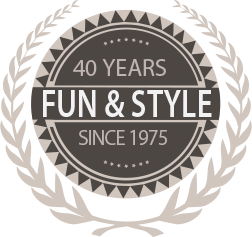 Great fun with lots of style. One year limited warranty included. Installation fee: $75 when purchased with a matching pool table or shuffleboard.